This innovative fine natural merino wool wrapped around durable nylon core cannot be matched by any man-made fibre. Unique yarn construction makes the fabric more resistant to tear and abrasion as well as providing greater stretch and recovery from the nylon core, with all the comfort and performance of merino wool. Its superb elasticity, insulation and breathability makes it the perfect choice for high performance enthusiasts. And surely everyone will appreciate underwear that absorbs moisture and keeps you warm even when damp or wet. 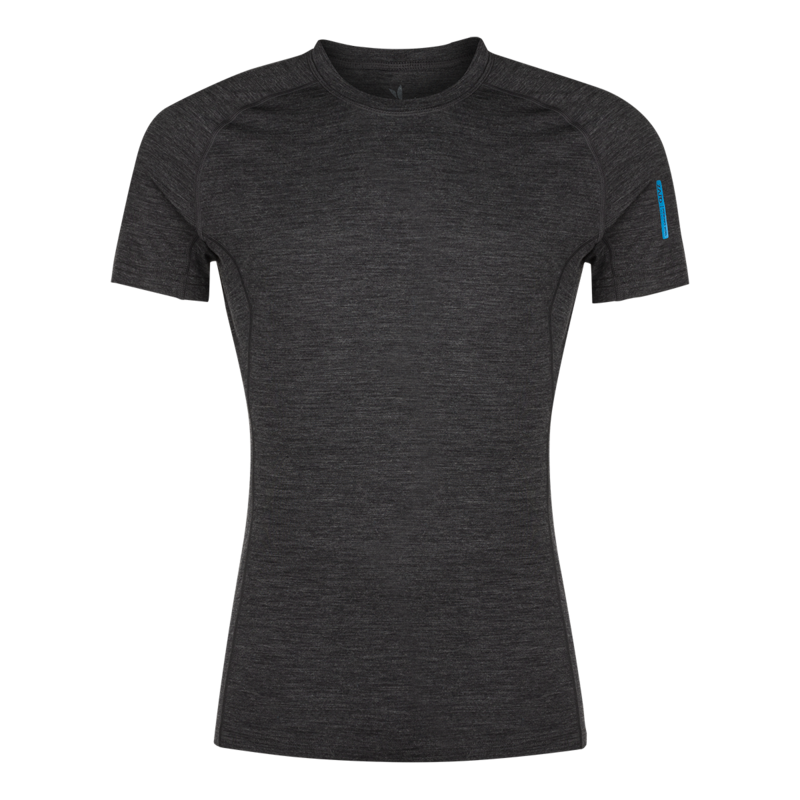 Machine-washable merino wool resists both stain and odour and doesn’t wrinkle. What’s more, merino wool is naturally UV resistant as well as fire resistant, making it the perfect barrier between your skin and the elements. Straight from the wild grasslands of Australia, brought to you by Zajo. You can be sure that every merino product from us came from sheep that got a regular clean and trim instead of extremely painful mulesing. 150g, 83% Merino wool, 12% Nylon, 5% Spandex, 18,5 mic. Wash new clothes before first wearing to wash out extra dye that can be transferred to your skin or other garments. Merino wool clothing doesn’t need to be washed as often as clothes made from other fibers. The best way to maintain your merino wool products is by exposure to fresh air. The best care way is hand wash in a basin with warm water and soap but do not allow to soak for too long to avoid shrinkage. In case of machine wash setup on a low to medium heat (30 degrees) on a cold cycle or use a wool wash/delicate option if available. Don’t not use fabric softeners because these will coat the merino fibres limiting the wool’s natural ability to actively managing your moisture and body temperature. Merino wool is generally very susceptible to mechanical damage, so do not wash them with clothing that has zippers, buckles, Velcro and is recommended to put your clothes to the textile bag. Be careful when wearing sharp edges with merino wool. Sharp edges pulling the yarns in the clothes and lead to holes so it is better to be careful. Merino wool is particularly susceptible to yellowing if exposed to sunlight.